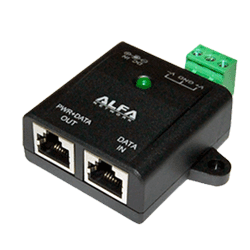 PoE injector for feeding the supply voltage of PoE enabled devices in an Ethernet cable. 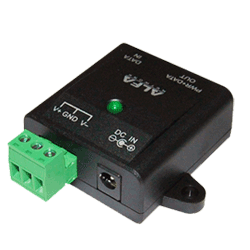 This PoE injector can be operated simultaneously via an AC/DC power adapter with AC voltage and on the second input with DC voltage. Thereby it can be flexible operated at home or on ships and caravans.